If you haven’t been to Forks lately, you might be surprised to find out what’s going on in this quiet corner of the Olympic Peninsula. The former Logging Capital of the World has become this summer’s must-visit destination for fans of the Twilight series of teen-romance novels. The four books that make up the Twilight Saga follow a teen-age girl named Bella Swan, whose infatuation with Edward Cullen, a boy at her high school, leads to romance. Edward’s only apparent flaw is the fact that he is a vampire. An Internet search reportedly led the series’ Phoenix-based author, Stephenie Meyer, to choose Forks for the setting, because her vampires need dark, rainy climates to survive. From this perspective, Forks has it all. Teen-age girls seem to be the biggest fans of the series, and this brings an otherwise unlikely demographic group to a town once dominated by burly men with chainsaws and beards. Nevertheless, the community seems to be taking its newfound popularity in stride. Twilight-themed T-shirts fly off the rack at the downtown Thrifway, and Sully’s Drive-In proudly serves up Bella Burgers for its literary minded visitors. During my half-hour visit to the Forks Visitor Information Center, I counted 20 people stopping in for information on the sights Meyer describes in her books. One family, with three teen-age girls, was visiting from Wisconsin. Later, a mother, father and teen-age daughter from Toronto stopped in to pick up the Twilight welcome packet, which includes a map to area Twilight landmarks and a Twilight trivia quiz, while the son waited in the car. The Forks Chamber of Commerce even offers three-hour van tours to landmarks matching those described in Meyer’s novels. Stops include the local high school and the police station. The tours take place on a weekly basis, and reservations are required (360-374-2531). Marcia Bingham, executive director of the Forks chamber, is impressed by how well Meyer captured the spirit of Forks, which is particularly remarkable because the author had never even been to the community prior to the 2005 release of Twilight, the first book in the series, though she has reportedly dropped by since then. Twilight-mania extends to Bella Italia restaurant in Port Angeles, where Edward and Bella go on their first date. On Aug. 10, Twilight and its sequels, New Moon, Eclipse and Breaking Dawn (released Aug. 2), occupied four of the top five positions on the USA Today best-seller list, and Time magazine included Meyer in its list of the world’s most influential people for 2008. With a motion picture based on the series due out in December, Forks residents can expect the visitors to keep coming. Mark your calendars for Sept. 13, when Forks celebrates Stephenie Meyer Day. The date coincides with Bella’s birthday in the novel. 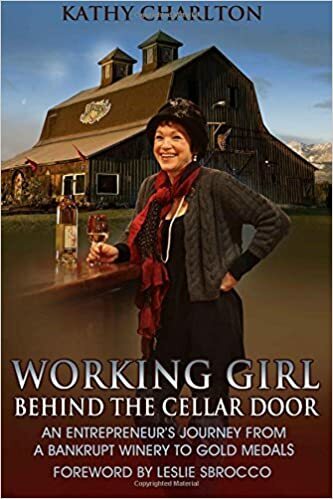 The producer of the Working Girl and La Dolce Vida wines hosts its “No Labor” Day celebration on Aug. 23. Stop by to sample wines and food, including Texas chili, and listen to live music. Intrepid visitors can also sign up for tandem skydive jumps that take place throughout the day. The fun continues with an evening barn dance featuring the country sounds of Nathan Chance. The winery is located in a restored barn alongside Hwy. 101, just east of Port Angeles.On Sept. 13, the winery hosts its 6th annual Grape Stomp and Harvest Festival. The afternoon celebration features a contest in which two-person teams attempt to crush the most wine from grapes with their bare feet (à la Lucille Ball). Live music and wine tasting round out the fun. This private, member-owned golf course on the edge of Port Angeles is now open for daily play on afternoons, six days a week (it is reserved for members only on Thursdays). The course measures only 6,334 yards from the championship tees, and its 108 acres of space requires a tight layout. Nevertheless, the course makes up for its lack of size with persistent tests of shot-making abilities. On the sixth hole, for instance, an overly rotund Douglas fir awaits like Jabba the Hut down the right side of the fairway, turning what would otherwise play as a straight approach to the green into a dogleg right. On clear days, the view from the seventh fairway stretches all the way across the Strait of Juan de Fuca to Victoria, B.C. The clubhouse and pro shop sit in modest facilities that date back to the club’s opening in 1921, but with $32 greens fees ($22 in fall and winter, not including cart fees), the facility offers great value and a leisurely pace. The Peterson family’s roots in the Hoh River Valley date back to the 19th century, and they have tilled the land and welcomed visitors for four generations. Anna Matsche is part of the Peterson’s new generation of leaders. When she’s not running her café or helping harvest hay from family farmland, the 20-something woman and her team lead kayak and raft tours down the Hoh (Class I/II), Sol Duc (Class III) and Elwha (Class II/III) rivers. As they skillfully navigate the rapids, Matsche and her crew share their insight on the region’s natural and cultural history—and offer great tips on places to eat. After hearing Matsche describe the milkshakes at Three Rivers Resort, I simply had to try one for myself.I was not disappointed.Three Rivers consists of cabins, RV hookups, a general store and a burger shack off Hwy 110, about halfway between Forks and La Push. There is nothing fancy about the place, but my strawberry milkshake, made with fresh strawberries and rich ice cream, was pure pleasure. Even though the top of the concoction rose above the brim of its 16-ounce cup, it held firm as I relished every sip. Matsche raves about the huckleberry shakes that they serve in the fall, and I have no reason to think that these are anything but sublime. Texas born Kathy Charlton thought what better way to celebrate than to put a little Good O'l Texas flair on this years event. Ya'll are invited for a full day of celebrating including a barn dance with Seattle's premier country band Nathan Chance and some down home style chili. It's pretty cool looking down on the Olympic Mountains. Become a member of the Working Girl First Jump Club with a commemorative tee shirt and a "toast" of wine after you jump (only 4 spots left) Available Jump times with be scheduled throughout the day. Jumpers will meet with the Skydiving Team at the winery before heading to the airport. Jumpers are invited to spend the whole day at the winery and enjoy the music and other Working Girl "No Labor Day" activities. Dance and sing along with local favorite band "Final Approach" Could the band name be any more perfect for skydiving. Dance and sing along with hits from the 50's through the 70's. You can't have great country music without Texas style chili. Joy of Joy’s Wine Bistro has taken on the ‘chili challenge’ and will be serving throughout the afternoon and evening.